Gunstig gelegen in Chengdu, is het The Ritz-Carlton Chengdu een goede uitvalsbasis om deze levendige stad te ontdekken. Slechts 1.5 km verwijderd van het stadscentrum, is dit een goede plek voor gasten om te genieten van de attracties en activiteiten in de stad. Dankzij de praktische locatie liggen alle belangrijke trekpleisters in de buurt van het hotel. 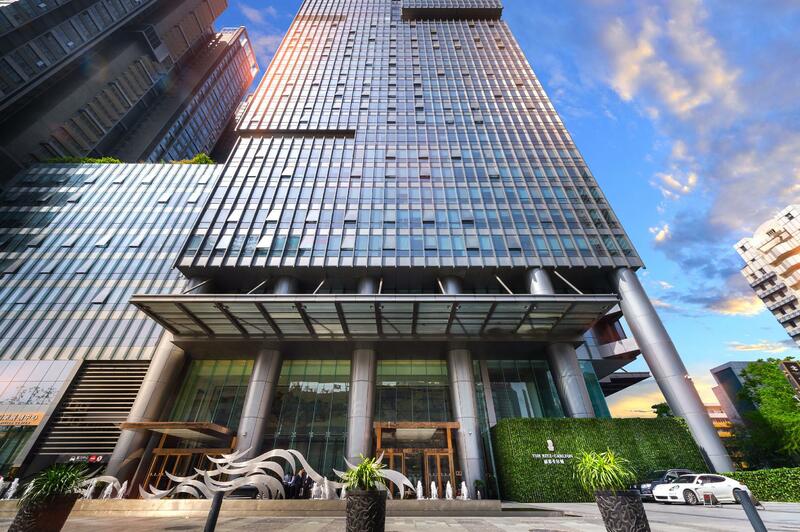 Het The Ritz-Carlton Chengdu biedt tevens vele faciliteiten om uw verblijf in Chengdu zo aangenaam mogelijk te maken. Maak in het hotel gebruik van een selectie topklasse faciliteiten, zoals 24-uur roomservice, gratis wi-fi in alle kamers, 24-uur receptie, faciliteiten voor mindervaliden, bagageopslag. De ambiance van het The Ritz-Carlton Chengdu weerspiegelt zich in de inrichting van de kamers. plasma tv, internet (draadloos), draadloos internet (gratis), rookvrije kamers, airconditioning zijn slechts enkele van de faciliteiten die u ter beschikking staan. U kunt de hele dag genieten van de ontspannen sfeer van de fitnesscentrum, sauna, zwembad (binnen), wellnessfaciliteiten, massage. 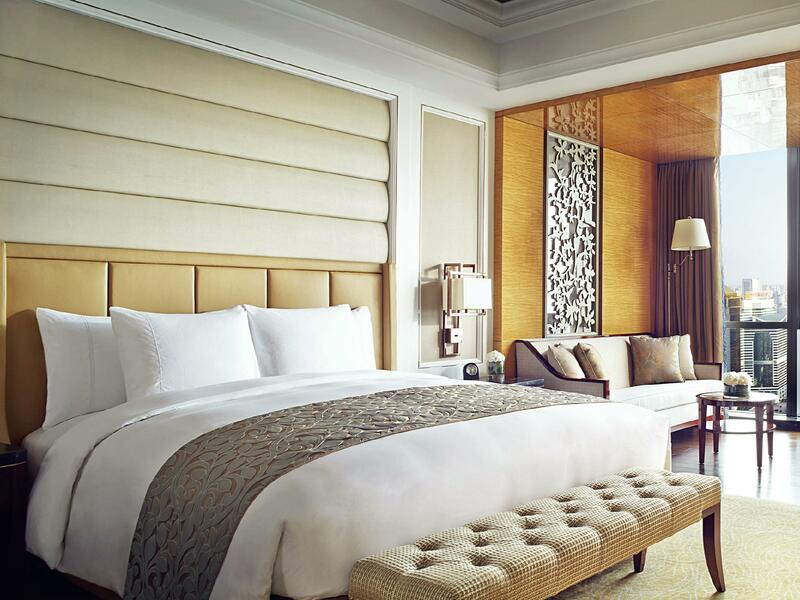 Wat de reden van uw bezoek aan Chengdu ook is, het The Ritz-Carlton Chengdu is de perfecte keuze voor een enerverende vakantie. De kamertarieven zijn gebaseerd op éénpersoons- of tweepersoonsbezetting. Er gelden extra toeslagen voor extra gasten. Everything at this hotel was seamless. Check-in and check-out were smooth and fast with no issues whatsoever. The staff are so well trained, very courteous, speak very good English, and the speed of delivery was exceptional. Nothing is too difficult at this hotel. Staff go above and beyond, and really make it a personalised experience. You do not just feel like a number here. 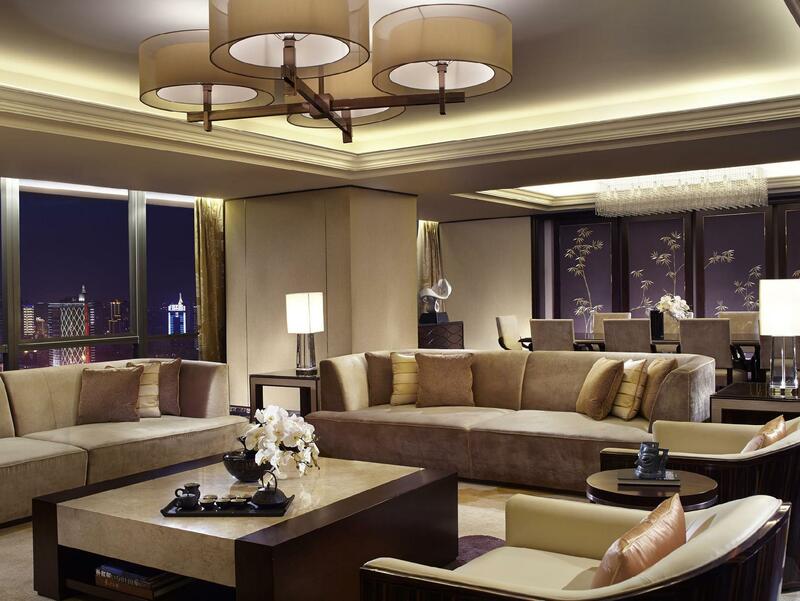 Decor in rooms is exactly what you would expect from a Ritz Carlton. The club lounge is well appointed and staff were attentive and helpful including arranging a breakfast box for a day trip. Breakfast in the lounge and at the main buffet (at spices) were both great. The hotel is fairly central. Easy access to the shopping hub by a very short cab ride. Not as close as some others but this hotel was far superior and well worth the small additional time involved. The spa prices were unreasonably high and the woman at the spa desk was not overly enthusiastic /accommodating. But overall, this hotel is impressive. It’s a truly 5 star hotel for China. I’ve been travelling to China a lot and this hotel is one of the best. We picked the Ritz-Carlton for our stay in Chengdu as it has a reputation for impeccable quality and we were not disappointed! From the moment we arrived to our departure the staff of this hotel exceeded all expectations. If we could give them 7 stars we would! The level of customer attentiveness, courtesy, service level and professionalism was a joy to see and together with the quality of facilities at the Hotel this is the place to stay when you visit Chengdu. In particular we would like to recognise the contributions of Yuki and Amy at the Front Desk, Aison from Room Service, Aiden from Flair and Louis the amazing Concierge. To the GM of the Hotel keep doing what you are doing this ranks as one of the best stays anywhere in the World Thank you Ritz Carlton Team we hope to have the pleasure to stay and see you again soon. Perfect. I will be back again. My boyfriend and i got the nice surprise to be upgraded to a suite. The staff(both foreigners and chinese) is impeccable and very attentive. The hotel in itself is also very nice. Its reception on the 25th floor is very enjoyable and the rooms are superb. Just coming in the hotel calms you down, and make you feel on holidays (even though you might not be). 10/10 for this great one. Nothing to envy to the Shanghai Ritz! 酒店乾淨漂亮, 服務人員親切素質高, 酒店餐飲相當用心好吃, 十分推薦旅遊住宿的好酒店！！！謝謝你們給我們的旅程中美麗的回憶! Ritz-Carlton clean and beautiful, the staff friendly high-quality, very good food and beverage hotel is very good, very recommended tourist accommodation good hotel! . . Thank you for the beautiful memories of our journey!